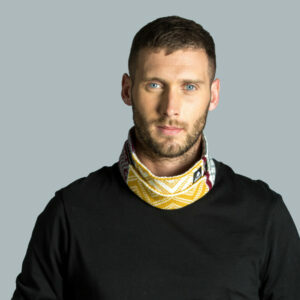 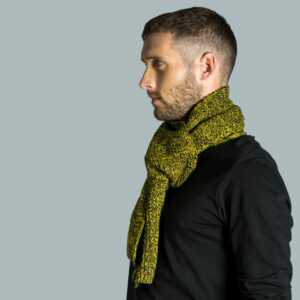 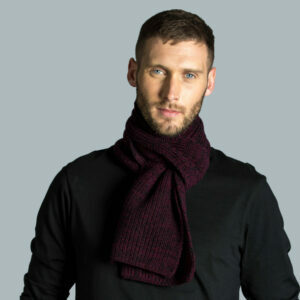 This knitted band is handy little piece of knitwear to carry around with you. 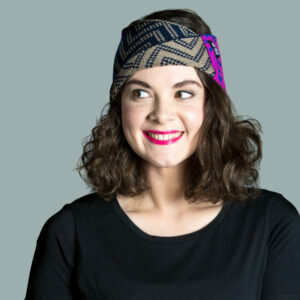 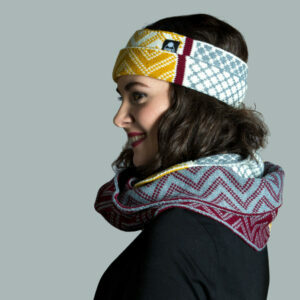 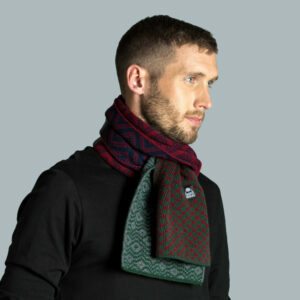 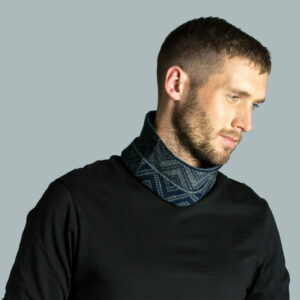 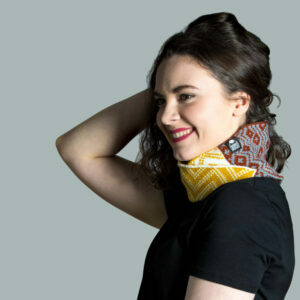 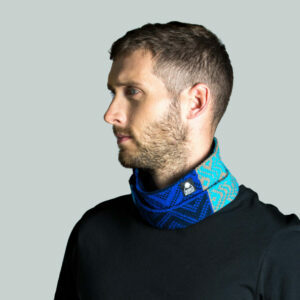 Being versatile, it can either be worn around the neck or as a headband. 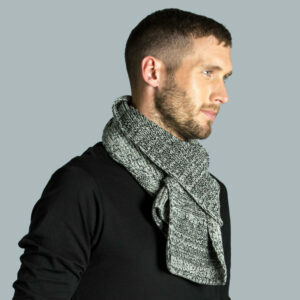 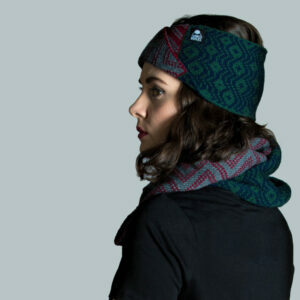 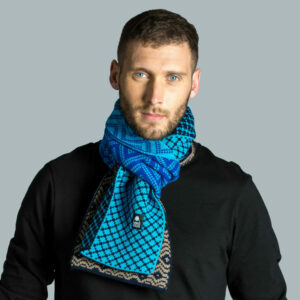 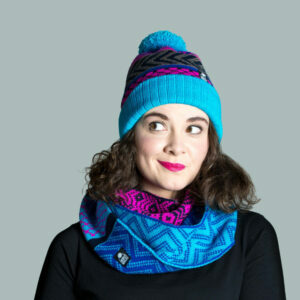 It is made with acrylic yarn, which is soft against skin and knit in a double layer to add extra comfort. 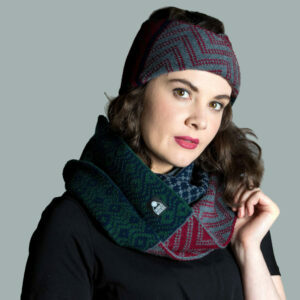 The chevron pattern used in our wonky collection turns into a diamond shape at the front as it’s folded over to add another layer of colour and comfort. 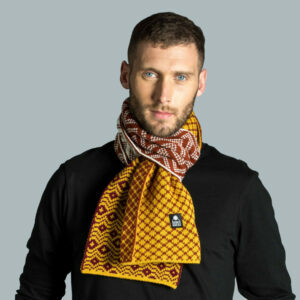 We’ve shown it worn here on its own as a neck warmer, it can also match with any other product in the Harvest colour combination.